Walmart: I am a big fan of their selection of the brand Danskin, as I have many pairs of their leggings that have actually been mistaken for lululemon. Needless to say I was very proud of my $12 purchase. 3. Old Navy. This is my holy grail shop for all athletic gear. Old Navy always seems to be having sales, so keep your eye out for their discounted athletic apparel. 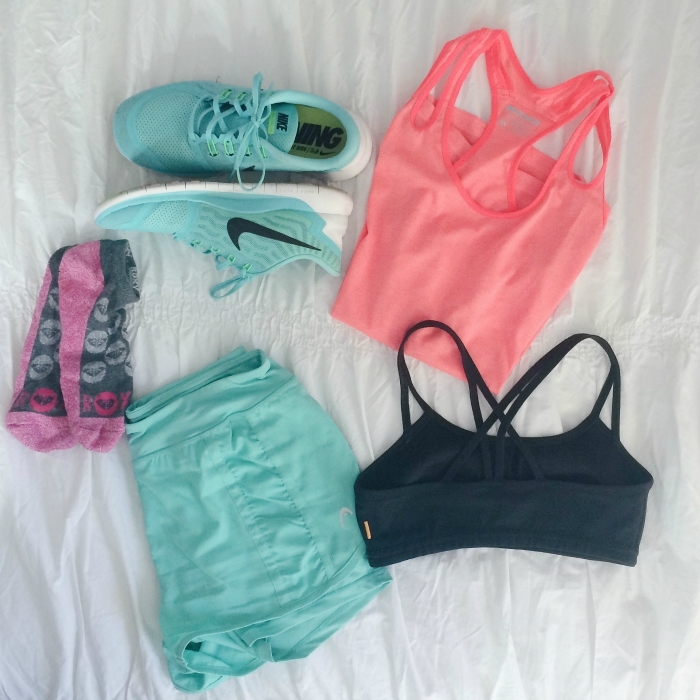 From tops to sports bras to leggings, to even running shoes, they have a wide array of really fashionable gym wear. I even bought a pair of running shoes from there 2 years ago for $10 when deciding to indulge in a pair of Nikes and was beyond impressed by their performance. 4. Aerie: While they are known for the super comfy lounge and sleepwear, this branch of American Eagle has some really good workout finds that are wallet friendly. 8. Nordstrom Rack: A great place to go if you are on the hunt for brand names like Under Armour and Nike, but still looking for a great deal. So next time you feel your workout wardrobe needs an update, browse these shops to revamp your style and save some cash! Hi! I'm Shannon Brink and I'm currently a freshman at BC. I'm from a small town in New Jersey, and I love being outdoors and traveling with friends and family. I'm the youngest of three, and living in a male dominated house where football typically takes over the dinner conversation, it's refreshing to have an outlet to talk about things that genuinely interest me and are relevant to my life as a clueless freshman trying to learn the ropes of college.